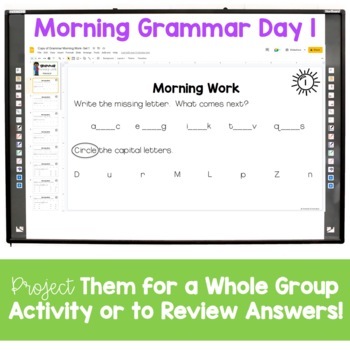 This set of Grammar Warm Ups is perfect for morning work for your students to work on grammar skills daily. 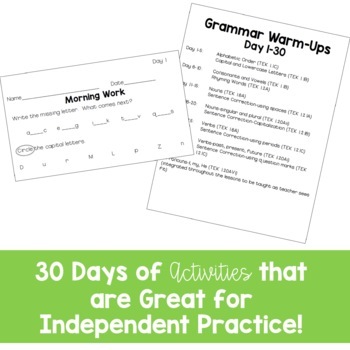 This set covers 30 days and is aligned with TEKS for 1st grade. Each day's work is only a 1/2 page. **This product is a zipped file. This just means I wrapped two things together-the printable version of the warm ups and a powerpoint version for you to project. You do not need any sort of special program to open the file. 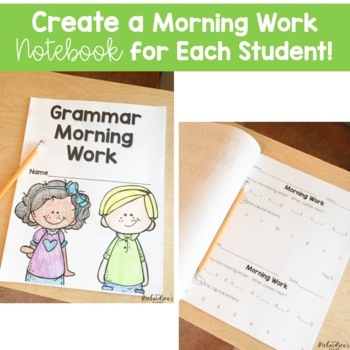 Looking of more grammar morning work, buy the First Grade Morning Work Bundle-Grammar and SAVE! Please contact me if you have any questions! I am here to help and answer any question you may have about the product.